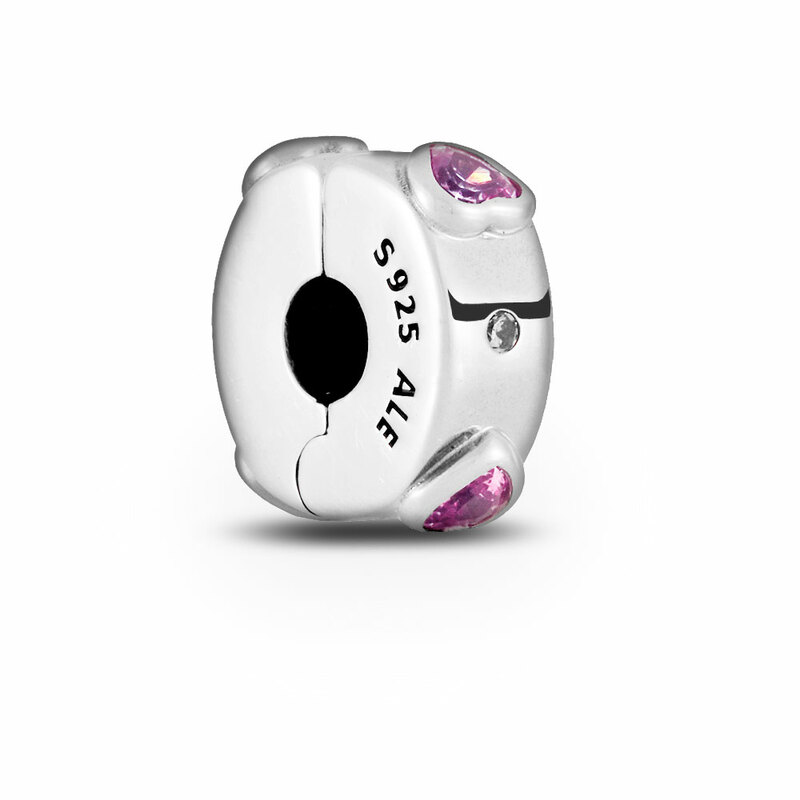 Minimalist and modern, this sterling silver clip shines with the graphic sophistication of pink stone hearts. Its innovative silicone grip ensures it will stay perfectly in place on bracelets, bangles and leathers. Available in-store or online.This item is a single clip charm only. Bracelets sold seperately. Styling images may show this charm on a bracelet as styling inspiration.